Sea Sorn, Base Manager and Field Coordinator at Projects Abroad’s Cambodia Diving & Marine Conservation project recently presented a talk at the Conservation Asia conference, which took place at the National University of Singapore. Conservation Asia, which ran from 29 June to 2 July, was jointly held by the Society for Conservation Biology (SCB) Asia section and the Association for Tropical Biology and Conservation (ATBC) Asia-Pacific chapter. The theme of the conference was “sustainable landscapes for people, business and biodiversity,” focusing on the complex environmental challenges facing the region. 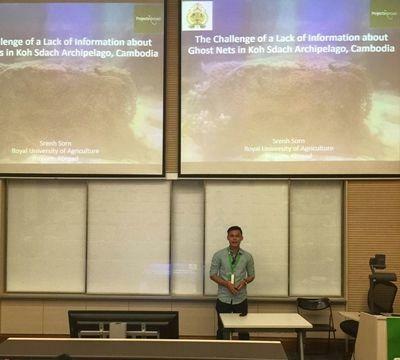 Sea Sorn, who won a scholarship to the conference, gave a presentation titled “The Challenge of Ghost Nets in Cambodia”, in the "Community Empowerment through Conservation Education and Engagement'' session. His presentation was based on findings from our Cambodia Conservation project. “Ghost nets” are discarded fishing nets that attach to, smother, disorientate and kill marine life, including endangered marine species – turtles in particular. The animals get stuck and are unable to free themselves, although a few lucky specimens are rescued by fishermen. Ghost nets can also smother and ultimately kill coral when they end up on the reef, allowing algae to engulf the area. This is obviously a huge threat to the biodiversity and health of the Cambodian waters. The ideal solution to the ghost net problem is to collect the ones already in the sea, and educate local people so that they don’t discard any more. Data collected from the Projects Abroad initiative has been used to showcase the magnitude of the problem, and will be used in the creation of an action plan to address this conservation issue. Support from the government as well as relevant stakeholders has been sought. When completed, this management plan will be the most comprehensive overview on the status of ghost nets in Cambodia. The Cambodia Diving & Marine Conservation project is based on the island of Koh Sdach, located in the southwest of the country. Volunteers on this placement take part in a range of activities, including research dives, data collection, education workshops and coastal clean-ups. Marine pollution is a major focus area of this programme – one of the ways of tackling this issue is with the project’s “Dives Against Debris” initiative. As the name suggests, this is an activity where volunteers dive and collect debris from the ocean. 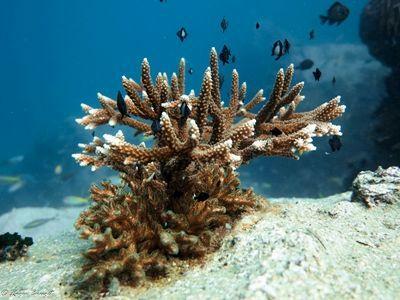 They have also just reached a significant milestone: over two tonnes of debris and rubbish have been removed from local coral reefs in the past 18 months. Most of this consisted of fishing nets and rope. 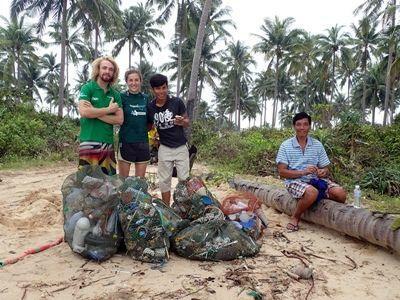 This is an incredible achievement on behalf of the staff and volunteers who have worked tirelessly to keep Cambodia’s oceans rubbish-free. Their work has also contributed to valuable research efforts, which in turn will help inform future management plans and scientific studies. Find out more about the Diving & Marine Conservation project in Cambodia, or take a look at some of our other Conservation placements.